Hippotherapy — UpReach Therapeutic Equestrian Center, Inc.
Hippotherapy is a mounted activity utilizing the movement of the horse and is implemented by a Physical Therapist (PT), Occupational Therapist (OT), or Speech Language Therapist (SLT). The participant receiving individualized treatment is not learning riding skills, but is gaining improvements in muscle tone, strength, postural control, balance, and coordination from weight shifts and postural displacement created by the horse's gait. UpReach currently contracts with It's Ability Pediatric Physical Therapy and Dr. Heather Ajzenman, OTD, OTR/L. If you are interested in participating in hippotherapy, please contact either It's Ability PPT or Dr. Heather Ajzenman directly! Pediatric Physical Therapy Inc. was established in 1982 by Colleen A. Sullivan (Moses), PT, PCS to provide state of the art, compassionate therapy services for children who have a variety of orthopedic, neurological, and developmental needs, with a focus on functional outcomes. In 2007, PPT opened It's Ability: Pediatric Physical Therapy Center and shortly thereafter began contracting with UpReach to provide hippotherapy. 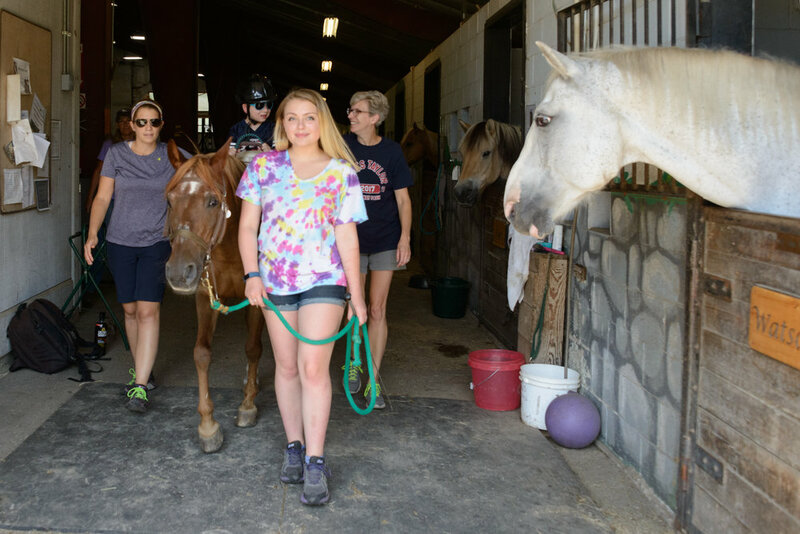 Colleen and her team of experienced, highly trained staff of therapists treat children several days a week at UpReach with the help of our volunteers and equine partners. Learn More about hippotherapy with It's Ability! 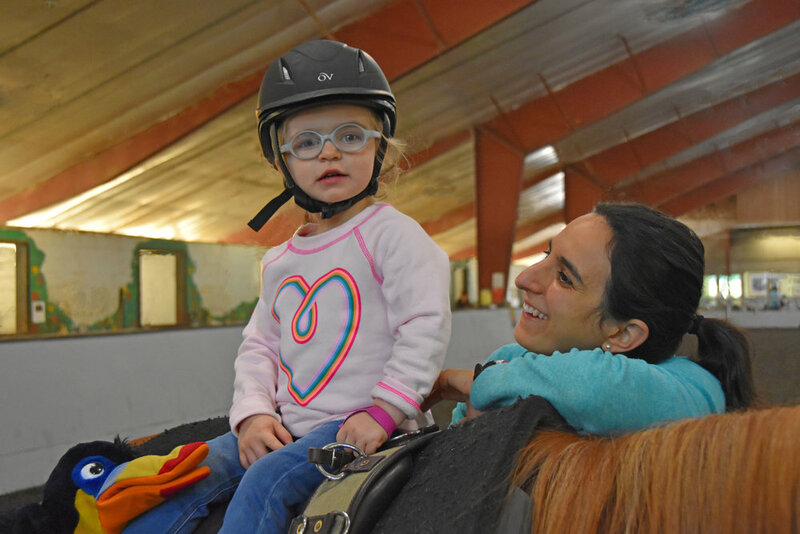 Dr. Heather Ajzenman has her doctorate in occupational therapy and is licensed to practice in New Hampshire, is a DIR Floortime® Basic Certified Provider, and is working towards obtaining her Hippotherapy Clinical Specialty Certification. She has experience working with diverse children and families from birth to 21 years of age utilizing family-center, environment based approaches incorporating all functional needs of each child and family. Heather is focused on families building relationships with their children through shared engagement, creating connections, and developing trust for emotional and intellectual growth. Learn More about hippotherapy with Heather Ajzenman, OTD, OTR/L!